I now believe, as a much more experienced scientist, that GMO crops still run far ahead of our understanding of their risks. In broad outline, the reasons I believe so are quite simple. As a biologist I have become much more appreciative of the complexity of biological organisms and their capacity for benefits and harms, and as a scientist I have become much more humble about the capacity of science to do more than scratch the surface in its understanding of the deep complexity and diversity of the natural world. To paraphrase a cliché, I more and more appreciate that as scientists we understand less and less. Some of my concerns with GMOs, however, are “just” practical. I have read numerous GMO risk assessment applications. These are the documents that governments rely on to ‘prove’ their safety. Though these documents are quite long and quite complex, their length is misleading in that they primarily ask trivial questions. Furthermore, the experiments described within them are often very inadequate and sloppily executed. Scientific controls are often missing, procedures and reagents are badly described, and the results are often ambiguous or uninterpretable. In consequence, the government regulators who examine the data are effectively reliant on the word of the applicants that the research supports whatever the applicant claims. There are other elementary scientific flaws too; for example, applications routinely ignore or dismiss obvious red flags such as experiments yielding unexpected outcomes. Aside from grave doubts about the quality and integrity of risk assessments, I also have specific science-based concerns over GMOs. These concerns are mostly particular to specific transgenes and traits. Many GMO plants are engineered to contain their own insecticides. These GMOs, which include maize, cotton and soybeans, are called Bt plants. Bt plants get their name because they incorporate a transgene that makes a protein-based toxin (sometimes called the Cry toxin) from the bacterium Bacillus thuringiensis. Many Bt crops are “stacked,” meaning they contain a multiplicity of these Cry toxins. Their makers believe each of these Bt toxins is insect-specific and safe. However, there are multiple reasons to doubt both safety and specificity. One concern is that Bacillus thuringiensis is all but indistinguishable from the well known anthrax bacterium (Bacillus anthracis). Another reason is that Bt insecticides share structural similarities with ricin. Ricin is a famously dangerous plant toxin, a tiny amount of which was used to assassinate the Bulgarian writer and defector Georgi Markov in 1978. 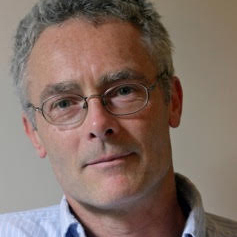 A third reason for concern is that the mode of action of Bt proteins is not understood (Vachon et al 2012); yet, it is axiomatic in science, that effective risk assessment requires a clear understanding of the mechanism of action of any GMO transgene so that appropriate experiments can be devised to affirm or refute safety. All this is doubly troubling because some Cry proteins are toxic towards isolated human cells (Mizuki et al., 1999). A second concern follows from GMOs being often resistant to herbicides. This resistance is an invitation to farmers to spray large quantities of herbicides, and many do. As research recently showed, commercial soybeans sold today routinely contain quantities of the herbicide Roundup (glyphosate) that its maker, Monsanto, once described as “extreme” (Bøhn et al 2014). Glyphosate has been in the news recently because the World Health Organisation no longer considers it a relatively harmless chemical, but there are other herbicides applied to GMOs which are easily of equal concern. The herbicide Glufosinate (phosphinothricin, made by Bayer) kills plants because it inhibits the plant enzyme glutamine synthetase. This ubiquitous enzyme is found also in fungi, bacteria and animals. Consequently, Glufosinate is toxic to most organisms. Glufosinate, for good measure, is also a neurotoxin of mammals that doesn’t easily break down in the environment (Lantz et al. 2014). Glufosinate is thus a “herbicide” in name only. Even in normal agricultural its use is hazardous. In GMO plants the situation is worse. Glufosinate is sprayed on the crop but degradation is blocked by the transgene, which chemically modifies it slightly. This makes the plant resistant to the herbicide, but when you eat Bayers’ Glufosinate-resistant GMO maize or canola, even weeks or months later, glufosinate, though slightly modified, is probably still there (Droge et al., 1992). 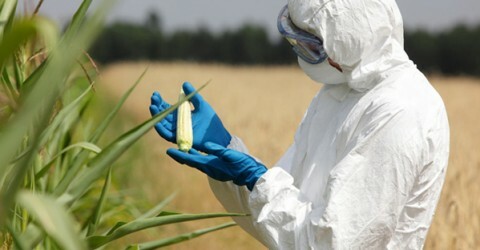 Nevertheless, the implications of all this additional exposure of people were ignored in GMO risk assessments of Glufosinate tolerant GMO crops. This list of significant scientific concerns about GMOs is by no means exhaustive. For example, there are novel GMOs coming on the market, such as those using double stranded RNAs(dsRNAs), that have the potential for even greater risks (Latham and Wilson 2015). Science is not the only grounds on which GMOs should be judged. The commercial purpose of GMOs is not to feed the world or improve farming. Rather, they exist to gain intellectual property (i.e. patent rights) over seeds and plant breeding and to drive agriculture in directions that benefit agribusiness. This drive is occurring at the expense of farmers, consumers and the natural world. US Farmers, for example, have seen seed costs nearly quadruple and seed choices greatly narrow since the introduction of GMOs. The fight over them is thus not of narrow importance. Their use affects us all. Criticism of science and technology remains very difficult. Even though many academics benefit from tenure and a large salary, the sceptical process in much of science is largely lacking. This is why risk assessment of GMOs has been short-circuited and public concerns about them are growing. Until the damaged scientific ethos is rectified, the public is correct to doubt that GMOs should ever have been let out of any lab. Lantz S et al., (2014) Glufosinate binds N -methyl- D -aspartate receptors and increases neuronal network activity in vitro. Neurotoxicology 45: 38-47.